Plex is a client-server media software suite. It has two main components, plex media server, and plex player. 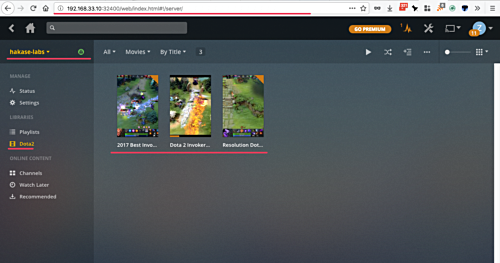 Plex media server is an application that allows you to organize your media files like video, audio, photo, and other media from online sources, then stream them over the local network or over the internet. It can be installed on Windows, MacOS, Linux, and even FreeBSD system. Plex Player is the front-end that allows you to play your media files over the local or remote computer that running the Plex media server. 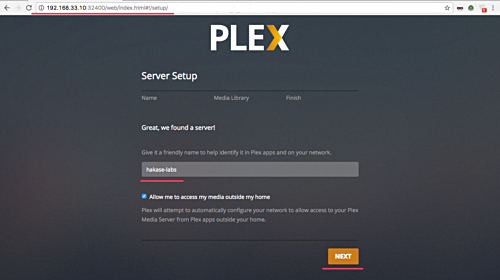 In this tutorial, we will show you step-by-step how to install and configure Plex media server on your CentOS 7 server. 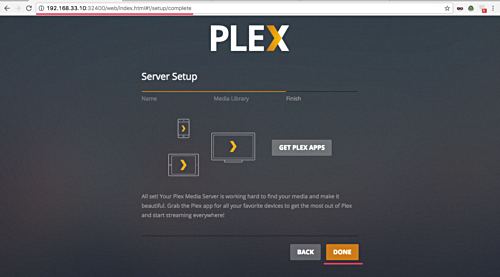 We will install Plex Media Server from its own repository, then configure the Firewalld rules for the media server access, and finally, configure the Plex player using the Plex web app. The first step we need to do for this guide is to add the Plex repository to our CentOS 7 system. Go to the 'yum.repos.d' directory and create new repo file 'plex.repo' using the vim editor. Paste the following Plex repository configuration there. # Plex.repo file will allow dynamic install/update of plexmediaserver. Plex repository has been added to the CentOS 7 system. 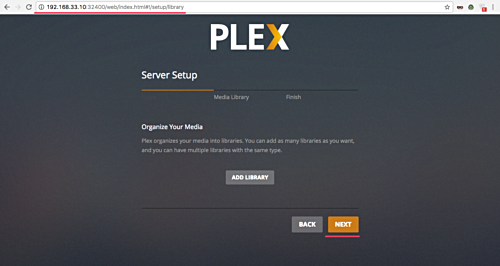 Now we will install Plex media server on our CentOS server. Run the yum command below. After the installation is complete, start the plex service and enable it to launch everytime at system boot using the systemctl commands below. Plex media server has been installed - check it using the following command. The Plex Media Server is now running on the CentOS 7 server. In this tutorial, we will enable Firewalld services. Make sure firewalld packages are installed on the system. Or you can install them using the yum command below. Now start the firewalld service and enable it to launch every time at system boot. Next, we need to add new firewalld configuration for our plex installation. Plex media server needs some port in the 'LISTEN' state, so we will create new firewalld XML configuration. Go to the '/etc/firewalld/service' directory and create a new service firewalld configuration 'plex.xml' using vim. There, paste the following configuration. 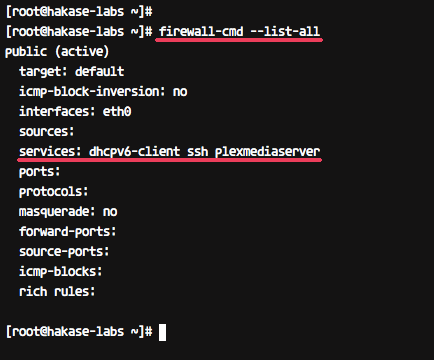 Now add the 'plexmediaserver' service to the firewalld services list, then reload the configuration. The plexmediaserver service has been added to firewalld - check it using the firewalld command below. And you should get 'plexmediaserver' on service list. Before configuring the Plex media server, make sure you have an account for Plex. If not, you can register using the URL below. And then login to your account. 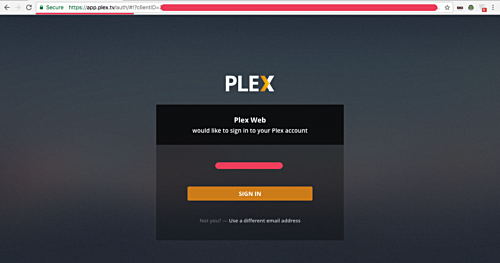 If you're a registered user and logged in with your browser, you can open your Plex media server installation url in the following way. And you will be redirected to the plex login as below. And you will get the page about how plex works - just click the GOT IT button. Now the server setup page. Type your server name and click the 'NEXT' button. Now you will see the page for plex library configuration. Click the 'NEXT' button again. And the plexmediaserver configuration has been completed - click the 'DONE' button. And you will get the plex Dashboard. 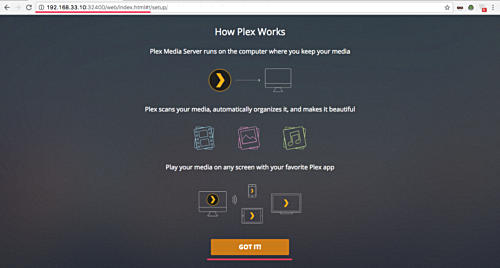 Now you can add media files to your plex media server. Below is an example library from our Plex installation. Plex Media Server installation and configuration on CentOS 7 server has been completed successfully. Hi I appreaciate the nice work on this tutorial. I do have a few comments. Note: GPG is there to authentificate the repository, so import the key only when you trust the network. Not randomly by adding -y option. In this case it is easy to use --enablerepo option and leave enabled=0 (As Plex.tv does automatically upon installaton of RPM). This is a very detailed docs. I read up from the Plex site that you don't need to have to have an account with Plex. However, accessing the Plex Media Server from the local network always redirect to the Plex website and required to setup an account. That makes me not wanting to use Plex. Is there a way to use Plex locally without having to setup account?